Would you like an easy way for people to find you and your business? 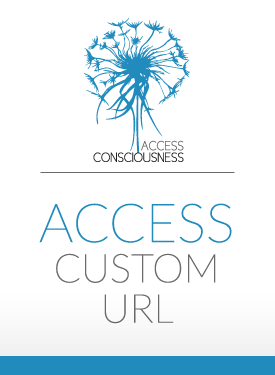 You can have your very own website address (url) on the Access Consciousness website! Once we've received your order, we'll contact with you within 48 hours with details of your Custom Access URL. For example, www.accessconsciousness.com/yourname, and we’ll get it all set up for you. Your chosen url will link directly to your profile and class listings. You’ll now have a great web address to put on your business cards and share in social media! How does it get even better than that? Once we receive your order we will be in contact with you within 24-48 hours to create your custom Access URL.